The redevelopment of Paddington Basin created over 2 million sq ft of new offices, homes, shops and leisure facilities. New towpath and bridges now provide public access to the waterside, accompanied by new business and residential moorings. Iconic bridges, including the famous ‘rolling bridge’ make Paddington Basin a unique location. 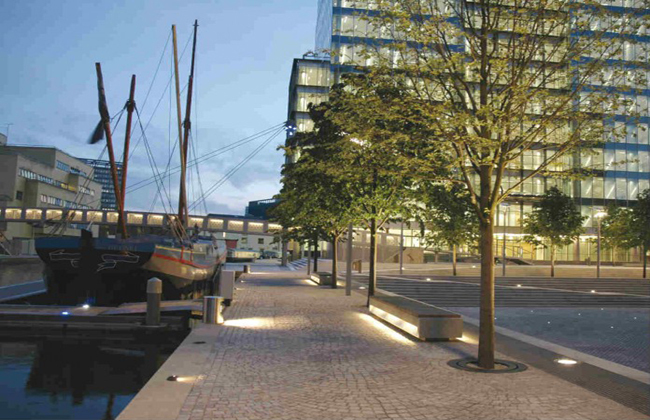 Major changes at Paddington Basin have included the new buildings and bridges, but also a renovated water space and a new landscape setting designed by Gillespies. In order to reach this point Gillespies took the original masterplan which addressed the wider space in which Paddington Basin is a part, and followed the recommendations in this to produce a detailed design for the Basin area. 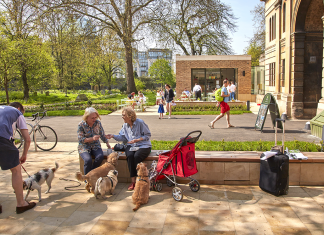 Gillespies’ public realm strategy addressed access routes from surrounding streets and made recommendations intended to set an appropriate character and quality benchmark. It also identified a range of uses for the public spaces. The public realm strategy specifically makes allowances for the inclusion of three artist-designed bridge crossing points, an amphitheatre to accommodate the influx of new business people, extensive timber pontoons, and the reclamation of the canal edges for walkways. Phase one of the development has been delivered and the rigorous implementation has led to a highly accessible space with a high quality landscape.